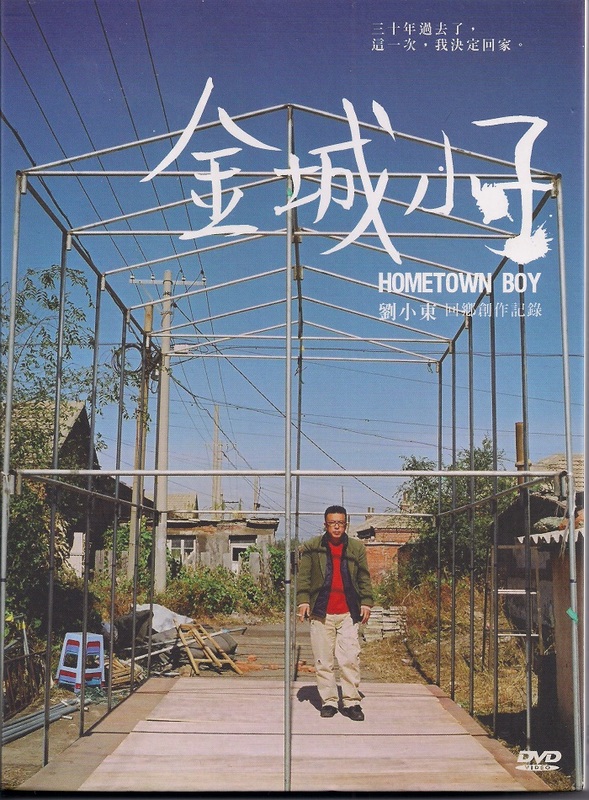 Liu's fame and even his art, to some extent, are not the main focus of this film, but rather the idea of homecoming takes centre stage - particularly in the context of small town culture in China being devoured by neighbouring metropolises. Liu is a little anxious about the trip home, as although he meets his friends every year around Chinese New Year for a meal at a restaurant, this is the first time he's will visit them in their own houses, thereby giving him more of an insight into their lives and the differences that have grown between them. His sense of trepidation, triggered by concerns that his celebrity status will be a point of contention or bargaining with his old friends in light of the project, proves unjustified, as the focus of his friends' concerns lie in their relationship with him, rather than any preoccupations with his fame. Homecoming, is a common theme of Chinese and Taiwanese literature - and further afield too I'm sure. Although Liu's career increases his status among his friends, it is largely only acknowledged in relation to how it affects the relationships between them - his achievements elsewhere are matters of indifference to them. Their world doesn't extend to Beijing or to the politics or commerce of the art world. The film portrays Liu's self-conscious middle class guilt, which comes through particularly strongly when he visits the homes of one of his friends and we hear him tell his friend that he is "窮得有志氣" which the subtitler translated as, "keeps his integrity in poverty." The idea of homecoming features quite a lot in Chinese and Taiwanese literature - and a common trope is to come home and for one's achievements to be beyond the understanding or looked on with disdain by those that one had hoped to impress. One example is the Japanese-educated scholar in Chen Hsu-ku's 'Glorious Homecoming' (陳虛谷的〈榮歸〉) who comes home to applause from his home village, but nothing he says is understood by the locals, who quickly lose interest in him. Despite the protestations of Liu, class is ever-present in the film - and it can be observed in the conversations they have with each other. 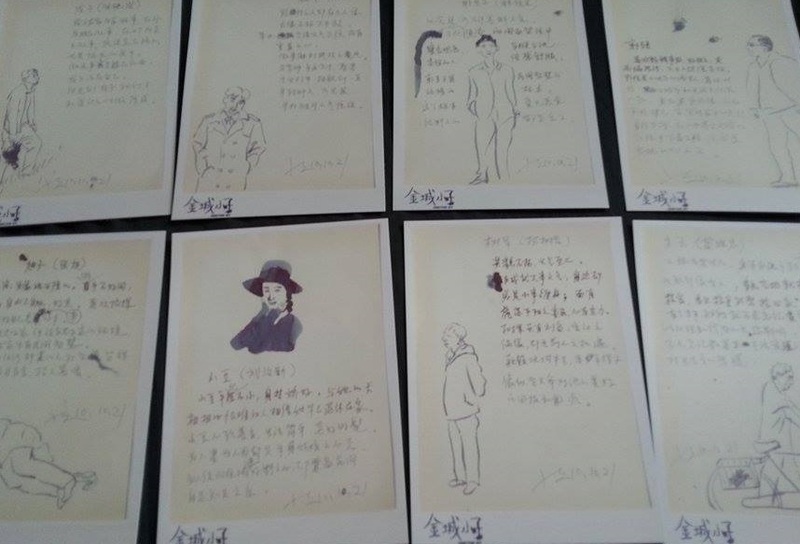 Han Shaogong referred to 「話份」 in his novel The Dictionary of Maqiao (《馬橋詞典》), which translates roughly to the weighting accorded to one's speech within a community. In the context of the documentary, Liu's career and ascension to the middle class functions to increase his 「話份」. They often defer to Liu, although this goes almost unnoticed by Liu himself, although it does get captured by the director. They do attempt to keep him grounded, however, with sarcastic references to him as "the leader," when he bosses them about, saying「領導說話」("The leader is talking"). Jincheng itself doesn't come across as a particularly remarkable place, as its heavily industrial and everywhere the camera roams there seems to be industry taking place, but it transforms through the value it hold for Liu and under the patient gaze of the camera. Liu Xiaodong's perverse romantic notion of this town and its culture - and the idea of local memory is more important that Jincheng itself. He sees them as free of the kind of commercial pollution with which he deals with in Beijing and in the art industry. There was a definite sense of performativity in the film. In a sense both Liu and his friends are performing their long lost friendships and this is reflected in an acute awareness of the camera's presence. There are attempts to undermine this performativity however, for example we follow Xiaodou to the hair salon, in advance of her portrait - implying that she's eager to present a certain image of herself to the public - and even the background of some of the paintings is not as rustic as in reality. There is also an awkward laugh and a retreat from camera when the rather dodgy KTV owner uses the term 「魔障」 to describe a mentally disabled person who used to live in the same street as Liu. 「魔障」 from what I could find, seems to be a derogatory term for someone suffering from a mental illness, although it is originally a Buddhist term, meaning someone who is diverted from practicing Buddhism due to internal or external factors - it was translated as "retard" by the subtitler, and the reaction from Liu seemed to indicate that he was embarrassed by the use of the word. Liu also seems keen to protect his friends from being portrayed in certain ways. This is done in two ways, he literally sketches out summaries of them - which are overwhelmingly positive. There is also several issues that are never explored in the movie, for example, we never find out what the crime that "stand-up guy" Shu Jun (樹軍) was convicted for. And the dodgy dealings of Guo Qiang (郭強) are also skirted around somewhat, without much exploration - as a viewer I almost felt that this was to an extent in line with Liu's slight reluctance to look too far into the lives of his former friends, for fear that he might be forced into moral judgement of them. It also reminded me of Starter for Ten by David Nicholls when his friends from university meet his friends from high school and they don't get on. There is also a KTV session at Guo Qiang's KTV place, where the KTV girls sit quietly at the side for most of the time, while casting shy eyes at the camera. No lewd behaviour happens, as I'm sure is the norm at these kinds of places (raised eyebrow). The one advantage to this perspective is that these characters become more humanized through Liu's view of them informed by their childhood friendships. The film doesn't romanticize the artistic process and we often see the obstacles Liu faces, whether its his models falling asleep, or someone in the town driving a truck into his canvas destroying it. The latter also points to the idea that not everyone is as happy for Liu as those in the documentary who are his friends. 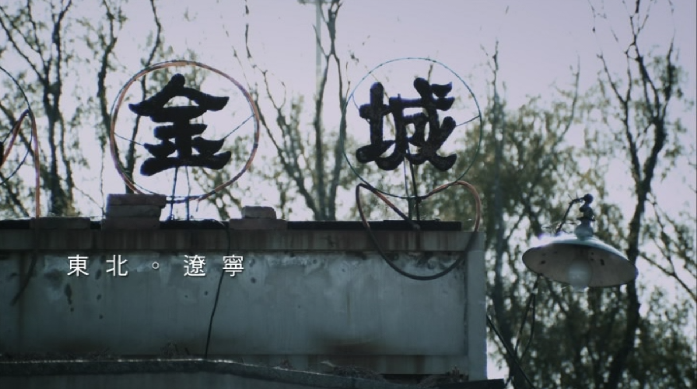 I was also amused to see that there was a person hired to translate Liaoning dialect into Mandarin Chinese for the film - someone called Liu Bo 楊波, which made me curious as to if he was hired specifically or was just on hand at the time. Overall I would say that the film is worth a watch, for its beautiful camera work and the theme of revisited friendships, which I think has universal appeal. The documentary also offers an insight into life in small town China - and the mixture of Western influences (there's a picture of Paris Hilton in the hair salon and during a five-aside football game they all wear Argentinian and Spanish football jerseys) and how this becomes intertwined with the unchanging elements of tradition and family life. This post was originally published on Conor's blog, which you can read here.